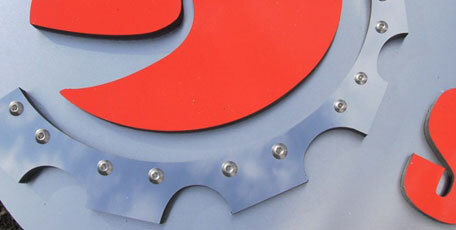 Available sign materials for cnc v-groove routed and other dimensional signage. We stock a wide variety of sign materials for our mixed media and dimensional signage solutions including acrylics, wood laminates, plastics and vinyl. Some of the more common materials used in both CNC routed and Sandblasted style dimensional signage are HDU (high density urethane) and clear grade red cedar. We take every precaution to protect it. WARRANTY - HDU Sign Foam unfinished is warranted for 10 years, indoor or out, against deterioration, warping, and cracking. It is 100% waterproof, unaffected by temperature and will not rot or decompose. High Density Urethane material is preferable on most projects, and is a must on outdoor sign projects. For more information, please visit www.signfoam.com. WARRANTY - There is no way to warranty a product of nature. We take great care in the assembly of our wood planks by using a combination of biscuits, dowels, and marine grade epoxy. The wood planks we use are double kiln dried, which is more expensive but better insures against bowing. DISADVANTAGES - Wood expands and contracts with the ever changing seasons. The primer seal may be broken (example - a landscaper kicking a rock from a mower), which allow the outdoor elements to deteriorate the wood. It is very hard to detect such deterioration, so routine inspections are required to protect your sign investment. 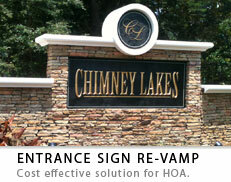 Because of the maintenance issues with wood signs, we DO NOT recommend wood for ANY exterior signage application. Should your project insist on being wood (local code, etc.) 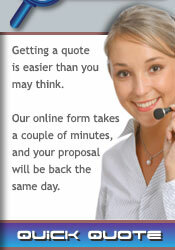 we can take additional steps to ensure longevity at added expenses not required with HDU.